Fire clay bricks for sale are a kind of aluminum silicate refractory material. Fire clay bricks are made from clay minerals. They consist mainly of 18-44 % of Al2O3 and 50-80 % of SiO2. 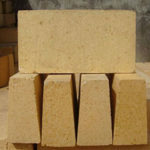 Fire clay bricks have low porosity and are durable for various re-heating process. They are mainly used in the low temperature parts of blast furnaces, waste incinerators and glass melting furnaces. 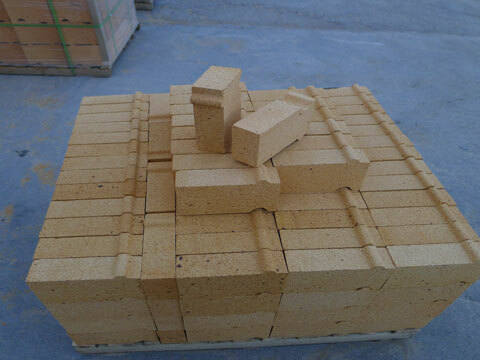 Fire clay bricks are the most widely used refractory bricks with a long history. 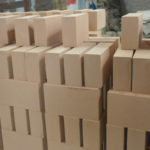 If you want to buy high quality and cheap fire clay bricks, welcome to ask for the free price list! 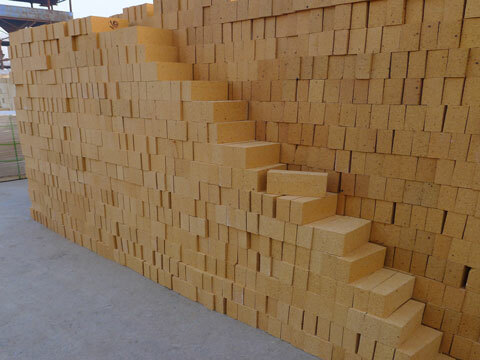 Fire clay bricks are refractory products which are made of clay clinker as aggregate, refractory clay as binder and Al2O3 content is generally above 40% in China. 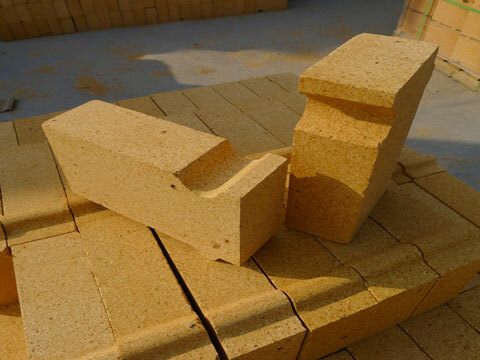 Fire clay bricks, also known as sintered bricks, are artificial small blocks for construction. Fire clay bricks are made of clay (including shale, coal gangue and other powders), processed by mud mixing, shaping, drying, sintering and matching. 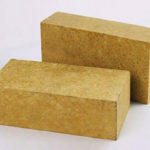 Fire clay brick for sale is made of 50% soft clay and 50% hard clay clinker, and is compounded according to a certain particle size requirement. After molding, drying, it is fired at a high temperature of 1300~1400℃. 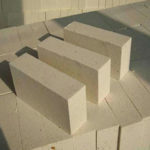 The mineral composition of fire clay bricks is mainly kaolinite(Al2O3·2SiO2·2H2O）and the impurities between 6% and 7%, such as potassium, sodium, calcium, titanium and iron oxides. Good chemical resistance: fire clay bricks belong to acidic refractories and have strong resistance to acid slag erosion. 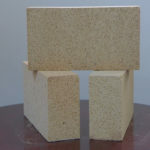 Fire clay bricks are acid refractory bricks and strengthen in acidity as the content of SiO2 increases. 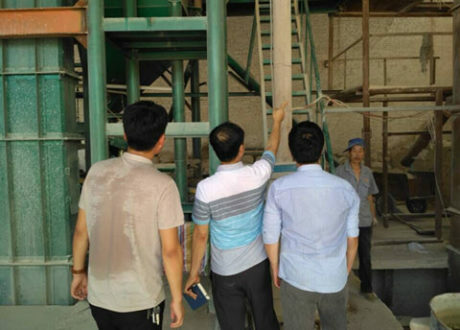 It has a certain anti-corrosion ability to acid slag, and has poor resistance to alkaline slag erosion, so fire clay bricks can be used as the lining of the acid kiln. Besides, It can be used in high temperature kiln such as blast furnace, hot blast stove, glass kiln and carbon roaster. Fire clay bricks for blast furnaces require high cold crushing strength, which can resist the long-term wear of the furnace materials. The volume shrinkage is small under long-term operation at high temperature, which is beneficial to maintain the integrity of the lining; low apparent porosity and low content of Fe2O3 can reduce carbon deposition in the pores to avoid the looseness and damage of the brick during using and the formation of low melting point is less. 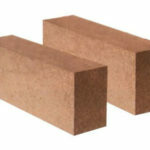 Fire clay bricks for hot blast stoves are required to have good thermal shock resistance, high softening temperature and small creep, and are mainly used in regenerators and partition walls of hot blast stoves. Large fire clay bricks for glass kiln are clay bricks with a weight of more than 50Kg for the construction of glass kiln. When it comes to something, many people may want to how to make them apart from their definition, properties, costs,etc. 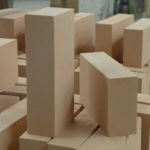 So how to make fire clay bricks, maybe the next articles can tell you something. 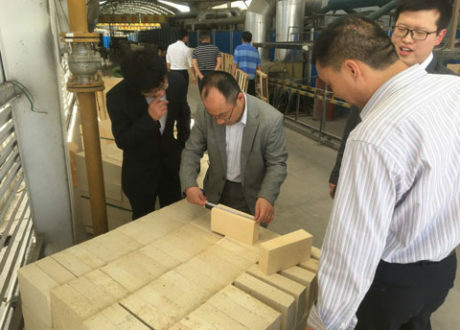 Fire clay brick is made from clay clinker by mixing, forming, drying, sintering and matching. 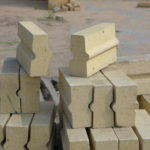 Clay clinker is a kind of barren material that acts as a skeleton in refractory bricks. In the firing process of the fire clay brick, kaolinite decomposes generating mullite crystal. At the same time, SiO2 and Al2O3 react with the impurities, forming the silicate, surrounding the mullite crystal. 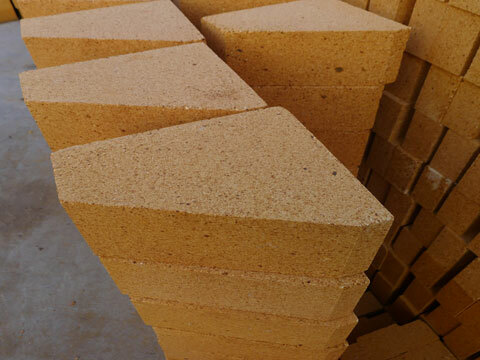 The firing of fire clay bricks is roughly divided into four stages: normal temperature stage, medium temperature stage, 900℃ to the highest firing stage, and cooling stage. 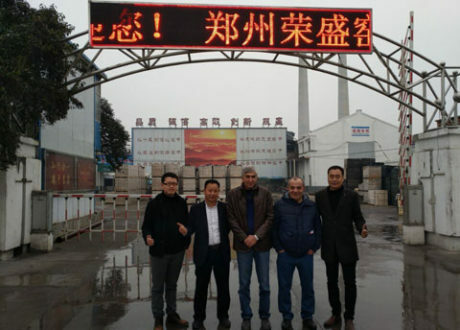 Geographicaland Transportationadvantage: Rongsheng Kiln Refractory Company is located in the hinterland of central plains, lies at the foot of Song shan Mountain, and adjacent to Zheng Shao highway, Longhai and Jingguang railways. So the convenient transportation saves cost for RS. Raw material advantage: There are abundant bauxite, high quality minerals in Xinmi city, Henan Province. Rongsheng is a professional manufacturer of fire clay bricks. 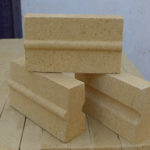 There are different types of fire clay bricks in RS company. 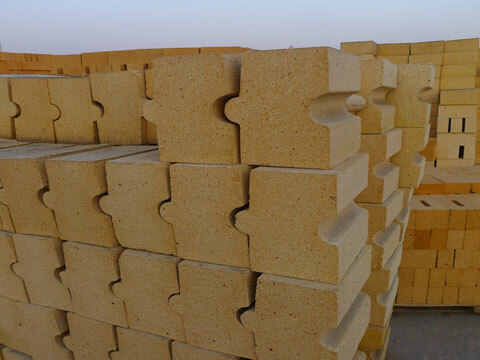 Apart from fire clay bricks, low porosity fire clay bricks, low creep fire clay bricks, general fire clay bricks, high quality fire clay bricks and shaped clay bricks can also be purchased in RS. 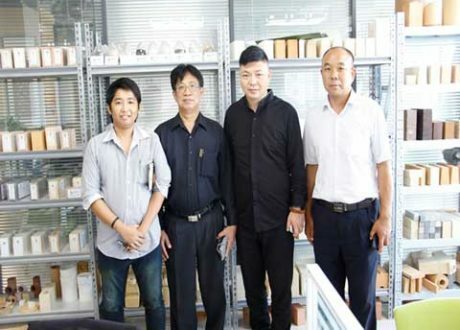 After more than 20 years of development, RS company is reputed and recognized worldwide for manufacturing and supplying high quality and durable fire clay brick. What’s more, we can provide you the best price, and make great efforts to serve you. 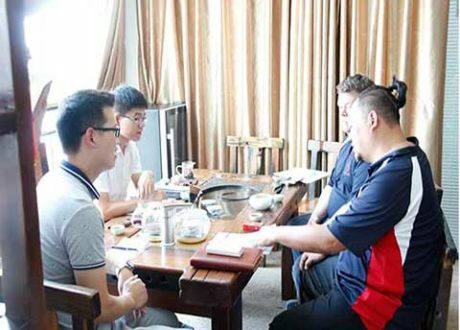 RS sincerely welcomes customers from all over the world for cooperation. 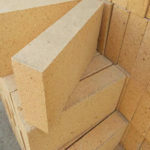 So if you are looking for excellent fire clay bricks, please contact us!